With Alex and Ben out of the picture, LeeS stepped up and took the challenge. It's time for some locks. I tried the complaint route, like 'where is everyone?' and that netted me zip. Now I'll try: 'if you want something done, just shut your pie hole and do it yourself'. What that means is, you're essentially stuck with me. No Alex, no Ben, no alternatives. Nada mas. Forget about it. I'm going to give it a go, you see. Have at it, take a swing, put one up there, jump shot, 'Hail Mary', whatever. The question, of course, is where do we go from here? We'll go where I want to go, that's where and that's because I'm driving. Now the topic could be just about anything. The intention is to pick a subject that's making headlines or one that won't and then maybe go out on a limb for a couple of professional games during that week. One thing you won't get from me is any cupcakes. I won't be taking the gimmes, the ducks—you know, the easy ones. I like the picks that no one wants to touch. Oh, and I won't lose a moment's sleep about my record—I'm not doing this for stats. I simply don't care. This week's topic could have had a few juicy ones to choose from. For one, we have the Steeler's James Harrison proving that when you're bored -- as he must be during the current players lockout -- that you could say just about anything about anyone at any time. His comments regarding NFL Commissioner Roger Goodell and not at all sparing his own teammates must have the Rooney's sterling organization again wondering what's with some of their star players and the bizarre quotes they drop. Someone's in the news again and not for the right reasons. We could also discuss that Roger Clemens is one of the luckiest people alive simply because the prosecution in his court case for alleged perjury proved that they were more inept than prepared, and ruling judge Reggie Walton declared a mistrial. You can go right from thinking about the slammer and again have thoughts of sugarplums and the possibility of election into the Hall of Fame, by golly. You can get that stuff anywhere, and this, my friends, is someplace else. Don't ask where. So let's talk NFL lockout. We know what's it's all about and what it isn't about. It's about the millionaires versus the billionaires and how they are just really, really concerned about us. It's about money—our money—and how they will have to share it. Sharing is supposed to be about being nice and they just aren't playing very nice, now are they? Everyone wants their share of that gigantic pie and lost in all of this is how the former players will likely be forgotten. Again. We won't care, you know. Once that labor deal is signed, we won't remember one teeny, tiny thing about any of this. We won't care that Ray Lewis believes that the crime rate will soar without an agreement in place or that Rashard Mendenhall has too much time on his hands or that Plaxico Burress is now out of the joint and looking for work—no, all we'll care about is being ready for some football. It's a bottom line business folks, and this is indeed the bottom line. NFL – 1, Fans - 0, I'm picking that there will be a labor deal in place, and we won't miss the Hall of Fame game in Canton on August 7, and it will be played by people who were mowing lawns, abusing family members or significant others, driving drunk and maybe just playing golf a few short days before. Count the fumbles and gaffes for even more enjoyment since they've had no training camp to benefit from. I'll take Da Bears over the Rams anyway, even though the real play here is an NFL contract in place signed by somewhat caring and rational human beings. July 19 – Cleveland Indians at Minnesota Twins. It's former Red Sox' Justin Masterson (born in Kingston, Jamaica of all places) – up against Francisco Liriano. Masterson is having a good year with an ERA under 3.00, and Liriano, who much was expected of, having a down season with an ERA approaching a lousy 5.00. Now almost everyone expected Cleveland to whither and Minnesota to turn it on and guess what? That appears to be happening with the Twins just five games behind the first-place Tribe and Brady Sizemore once again on the DL with a boo-boo on his knee. Is he reminding anyone of Bob Sanders yet? Just swell in the highlight reels, but not out on the field an awful lot. Minnesota needs to put some games together against Cleveland and Detroit and there's no time like right now when it looks like it's a bad pitching matchup in the land of the Twin Cities. I'll go with Minnesota to light up Masterson, confound the tribe and come up with a sound win, making a statement of sorts. 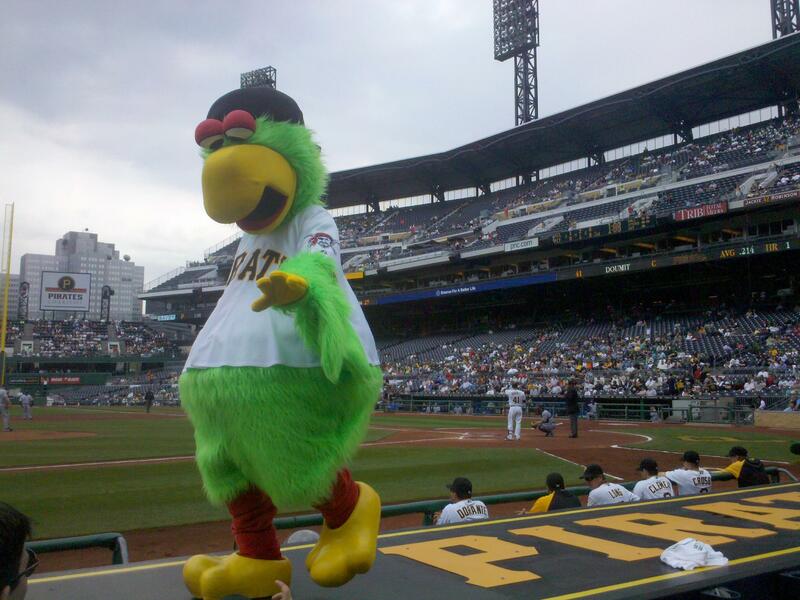 July 20 – Cincinnati Reds at Pittsburgh Pirates. We have two pitchers enjoying an above average season. The Pirates' Karstens is having his absolute best by far in his six year major league career with the dreaded Yankees' (Jeff's former team) asking: 'Jeff? Jeff, who?'. While the opposing pitcher for the Red's -- Johnny Cueto is having his best year in the majors as well. The fans are going to see some talented pitching and Cincinnati needs this one much more than the ever-surprising Pirates, because they trail them in the standings, but I just can't do it. I have to go with the home team. Picking Pittsburgh to get a squeaker from Cincinnati in the final game of this series. July 22 – Akron Aeros at Erie SeaWolves. Let's get a little closer to home and there's no better way than to just go home, Right? Why, sure. Now Diek Scram is back and he's hotter than the average daily temps in Erie, and while everyone else is wilting, the guy from Kansas is just 'Mr. Cool' at the plate. Now we know that Erie just can't catch a break on the road and testing the depths at 10 ½ games back, but they could take a 'Wolf Pack' Friday night game from the hated and despicable Aeros with some solid fan support and pitching. I don't normally like to take the home team—I dislike heartbreak, you see—but I'm thinking that Erie could provide some fireworks not only after the game but during it as well. Going with the kids on East 10th Street in this one. If not fired or otherwise stymied by then, I'll attempt to be back for another venture into the presumably preposterous.